First and foremost, let me greet among us a special guest from Pope Francis His Eminency cardinal Leonardo Sandri. To visit you, we have passed almost 1300 kilometers from Kramatorsk, Sloviansk and through Kharkiv, Kyiv and to Zarvanytsia. Papa wished to embrace Ukraine and UGCC in a special way. He wanted to be present here personally, in order to celebrate with us this jubilee of the coronation of icon of Our Lady of Zarvanytsia. 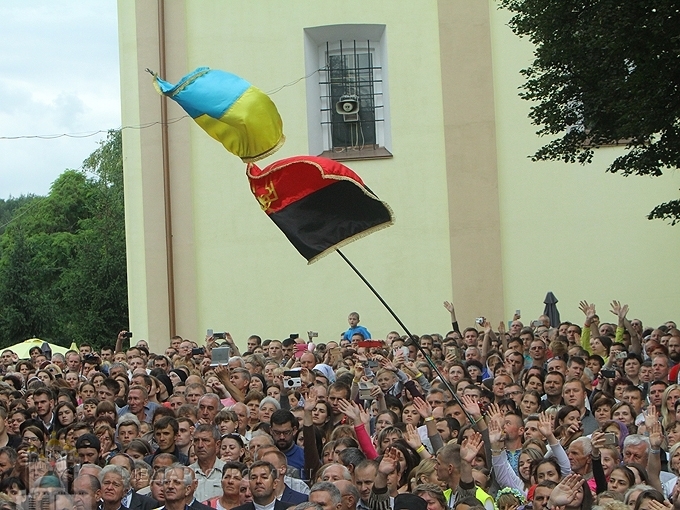 Father and Head of UGCC addressed to young people in Zarvanytsia, Ternopil region on 15th of July. We are adding that these days the nationwide pilgrimage to Zarvanytsia is being held. The members of the Synod of Bishops of UGCC, as well as cardinal Leonardo Sandri, plenipotentiary of Pope Francis, Prefect of the Congregation for the Oriental Churches are present there. 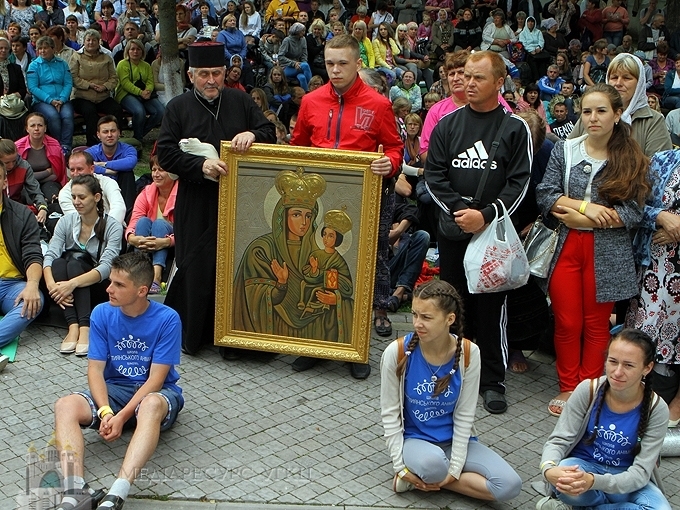 The pilgrimage is conducted in conjunction with the 150th anniversary of coronation of icon of Our Lady of Zarvanytsia, 125th anniversary since patriarch Josef Slipyi birthday and is also dedicated to a prayer for peace in Ukraine. “His Holiness cannot be present everywhere and for such occasions he sends his legates. He sent to us a special person. You know, in Vatican Curia there are various congregations, similarly to our government with different ministries. There is a separate congregation what is responsible for Pope’s caring for Oriental Catholic Churches, among what our Church is the biggest one. On this occasion, our cardinal arrived from this congregation, its prefect cardinal Leonardo”, His Beatitude Sviatoslav went on. The meeting with young people started with cardinal’s word addressed to the young people and later on Head of UGCC answered the questions. 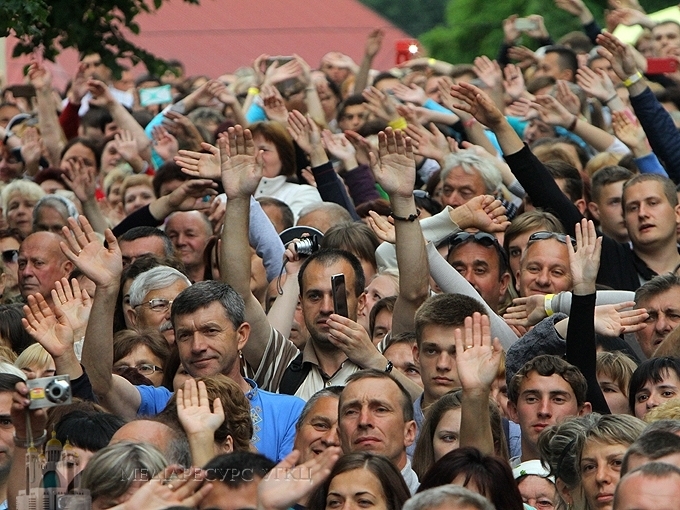 “Ukrainian youth is waiting for an encouraging word, for a support, because precisely it is dying for Ukraine today. It bears its wounds within”, Head of Church said, addressing to the Cardinal. 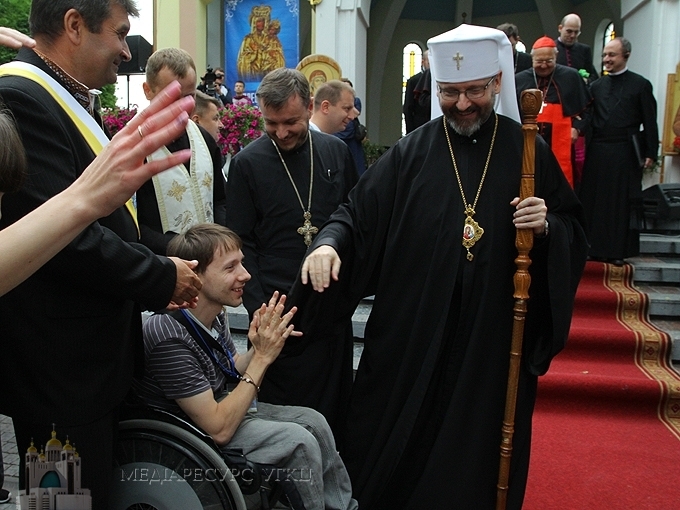 After the sermon delivered by cardinal Leonardo, His Beatitude Sviatoslav thanked him for touching deep wounds of Ukrainian society. “A huge problem exists, what we have heard about in Kharkiv today, while talking with talking to the employees of CF “Caritas-Kharkiv”. It is about surrogate motherhood, when a woman is bearing someone’s baby for money and selling after. And, distressfully, according to the statistics, Ukrainian women are mostly affected by this tragedy. This one of the most tremendous disdain for women’s dignity. That is why I am grateful to His Eminency for being brave to pick up this topic. In my opinion, we have to work on it a lot more”, he went on. According to him, in the Catechism of UGCC, particularly, where it is said about moral-ascetic life, this crime against a dignity of a woman is mentioned too, recalling also how to cherish the dignity of a mother and woman. “Thank you for the opportunity to talk with you. It goes traditionally that the beginning of every event and service during this pilgrimage starts with meeting young people. I find it good to develop this tradition on. 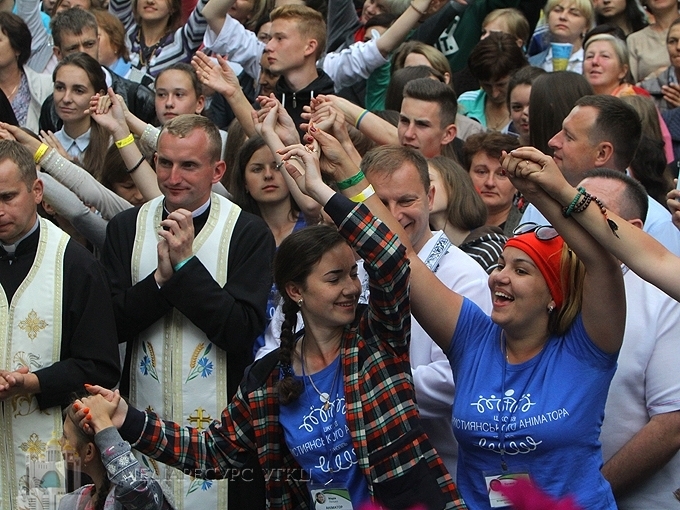 Every year we will be gathering like this to see, hear and talk to each other”, His Beatitude Sviatoslav said, answering questions after that. The meeting finished with an Apostolic blessing from Pope Francis.